Visitors to the provence of Andalusia in southern Spain will immediately notice the beautiful Moorish architecture of many of its ancient mosques, palaces, and fortresses. From the time the Moors invaded Spain in 711 until they were finally defeated and expelled by the Catholic monarchs, Ferdinand and Isabella, in 1492, the Moorish influence dominated local architecture. Presented here are my examples of these often dramatic influences. Although copied perhaps from the Visigoths, Persians, or Byzantines, the famous horseshoe arch is a popular feature of most of these structures. Domes are another significant feature and often contained stalactite ceiling decorations. It has been said that fractal geometry has been a key utility, especially for mosques and palaces. These are distinguished by the extent and variety of decoration, including mosaics, wall painting, sculpture and carved reliefs with Islamic motifs. 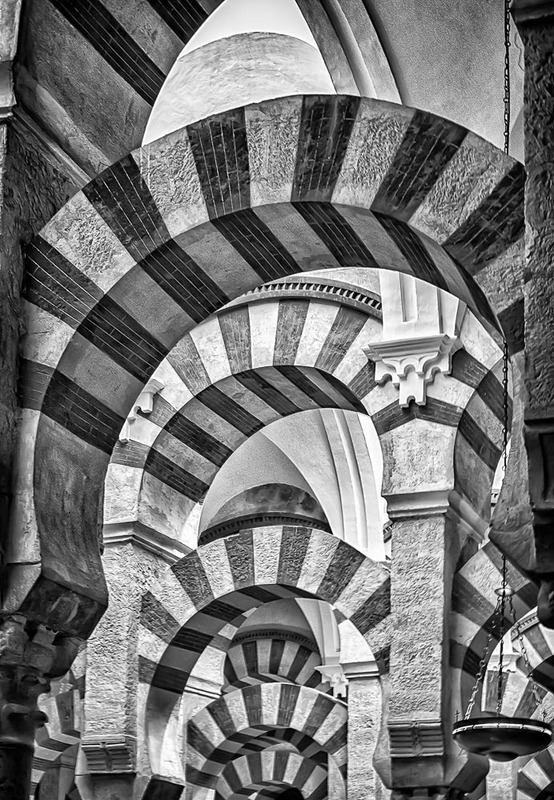 The Great Mosque at Córdoba in 785 marked the beginning of Moorish architecture in the Iberian peninsula and is noted for its commanding interior arches. Moorish architecture reached its peak with the construction of the Alhambra, the magnificent palace/fortress of Granada, with its open and breezy interior spaces. The walls are decorated with stylized foliage motifs, Arabic inscriptions, and arabesque design work, with walls covered in glazed tile. These mosques are square or rectangular in plan with an enclosed courtyard and a covered prayer hall. Islamic art, the arabesque, was an elaborate application of repeating geometric forms that often echo the shapes of plants, and sometimes animals, such as birds, instead of using pictures of humans which is forbidden in Islam. The choice of which geometric forms were to be used and how they were to be formatted was based upon the Islamic view of the world. These symbolize the infinite nature of the creation of the one God. Arabic calligraphy, geometric Islamic art, can also be seen on the walls and ceilings of mosques. A common, prevalent inscription is often replicated and states “The world is for God”. My project is a simple attempt to depict the progression of the Moorish architectural influences from the Great Mosque at Córdoba to the final grandeur of Islamic art in the Alhambra. 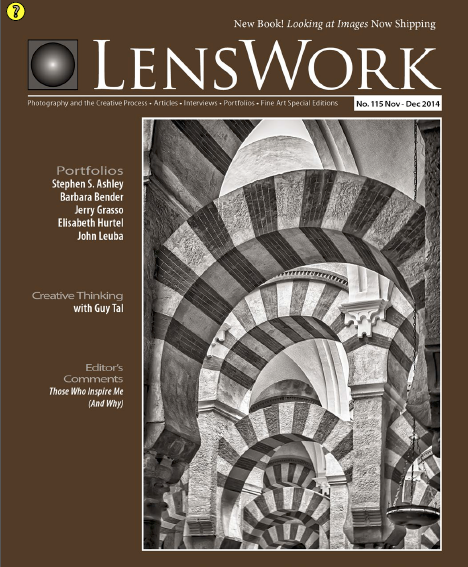 I hope you enjoy the ordered repetition, radiating structures, and rhythmic, metric patterns that form the basis of the architectural influences of Moorish history in southern Spain.